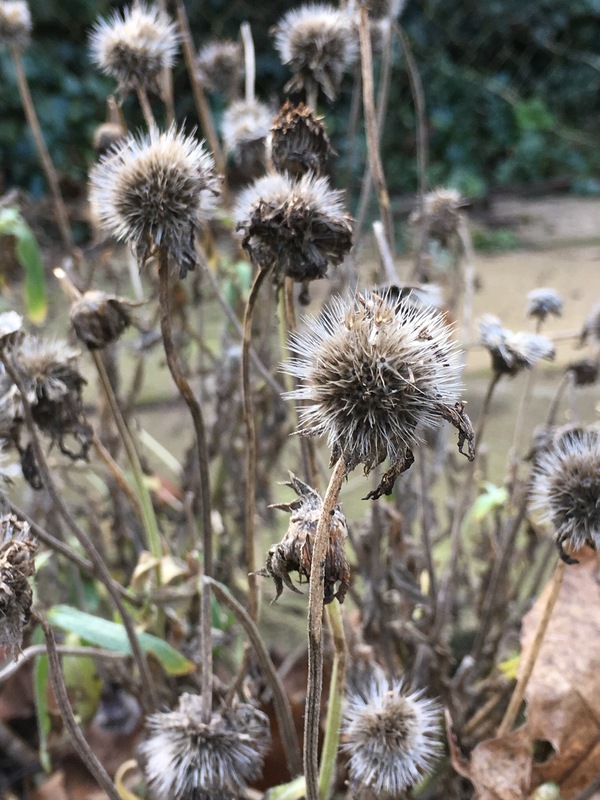 #WordlessWednesday – finding seed heads in the garden. I don’t cut back plants until spring. Any creature requiring a duvet of leaves, or a seed head sojourn, is welcome in my garden. 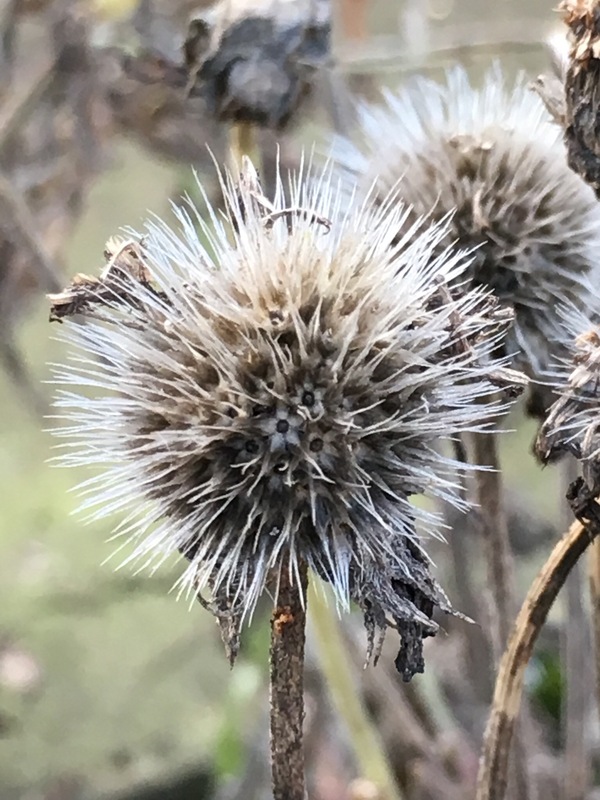 Caught in sunlight, seed heads provide a heart-sing moment in January. Just when we all need some cheer. Gaillardia seed heads. Sunny all summer, a joy all winter. I love the mini five “petal” flowers in the centre of the seed head. A flower within a flower. What are your favourite seed heads at the moment? ← #Perennial Party…..Taking a piece of my garden with me. Thank you Gill. Actually I did just gently pat their heads. Couldn’t resist. Found some ladybirds warmly ensconced. My growth beds, small as they are, look rather sad and soggy. I’ve cleared a few things from some pots, but have not had the desire to don wellies and squelch towards doing anything else. As and when the weather improves enough to attempt a general manicure, it is likely to be late spring time, meaning May, conditions permitting. Thank you, it’s just a camera phone photo. I am the same. No doubt there will be a terrible last minute rush to clear the beds. At least the weather should be better by then, hopefully. Thanks again for taking the time to read and comment. It’s much appreciated. Well said and beautifully photographed. The seed heads are Gaillardia. It’s quite a distinctive seed structure.